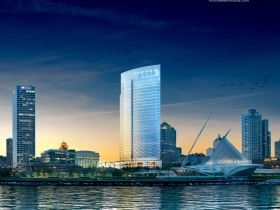 Milwaukee, Jan. 21, 2015 – Northwestern Mutual today announced nearly five dozen local and Wisconsin-based companies, including more than three dozen small business enterprises (SBEs), have joined the design and construction team for the Northwestern Mutual Tower and Commons. 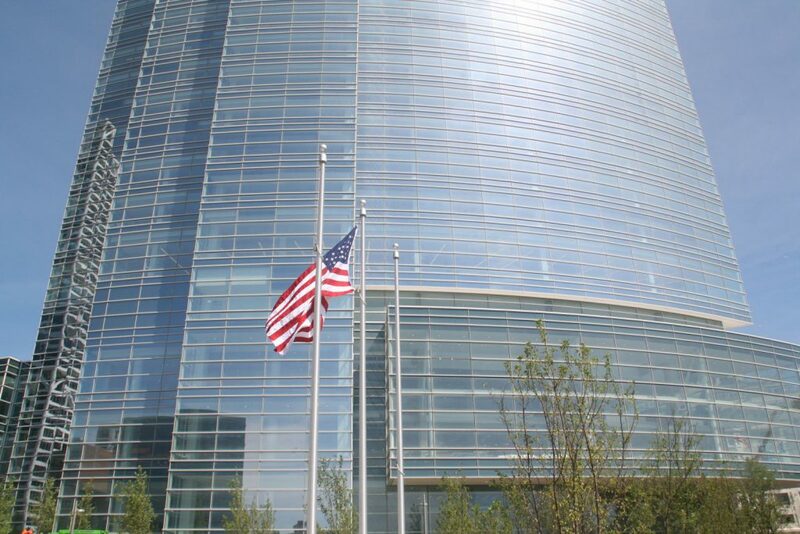 The new hires join the dozens of local companies and SBEs that completed previous work related to decoupling and deconstruction of Northwestern Mutual’s east office building, utility relocation, and other work to prepare for construction. 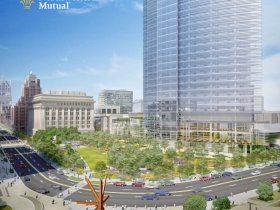 The companies will play prominent roles in bringing the 32-story, 1.1 million-square-foot project to life over the next three years, according to Sandy Botcher, head of Northwestern Mutual’s downtown campus development project. The companies will also help Northwestern Mutual meet its commitment to the City of Milwaukee to tap SBEs for 25 percent of the project costs and utilize city residents through the Resident Preference Program (RPP) for 40 percent of the hours worked on the project. As of June 30, 2014, Northwestern Mutual had exceeded both the 25 percent SBE and 40 percent RPP thresholds. 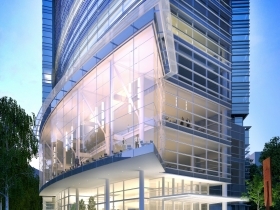 The new companies hired to work on the Northwestern Mutual Tower and Commons will perform work ranging from foundation, architecture and building automation, to plumbing, electrical and mechanical work. 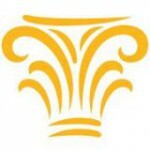 A complete list of companies who are partnering with Northwestern Mutual can be found here. 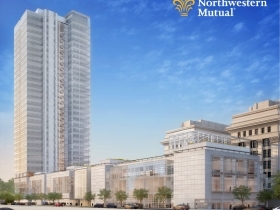 Over the past several months, Northwestern Mutual partnered with its development manager, Hines, as well as Prism Technical and the general contractor team, Gilbane | C.G. Schmidt, to share the upcoming opportunities with SBEs and Milwaukee residents. 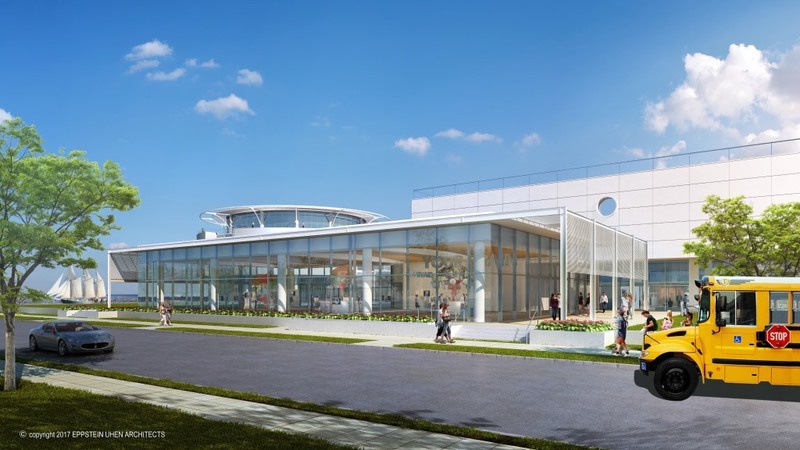 Botcher said the company proactively engaged local chambers of commerce, numerous industry representatives, and more than 100 community-based organizations to ensure the project includes significant participation from diverse segments of the Milwaukee community. Additionally, 15 informational sessions were held to highlight contracting opportunities (including four sessions for SBEs and two matchmaking sessions), all of which were attended by more than 300 businesses and organizations. The company also worked closely with the Wisconsin Regional Training Partnership/BIG STEP and Milwaukee Common Council leaders to host a series of workforce fairs throughout the city aimed at connecting residents to apprenticeship preparation and career opportunities related to the development. “Our focus has been and will continue to be providing as many opportunities as possible to local companies and SBEs and Milwaukee residents,” Botcher said. 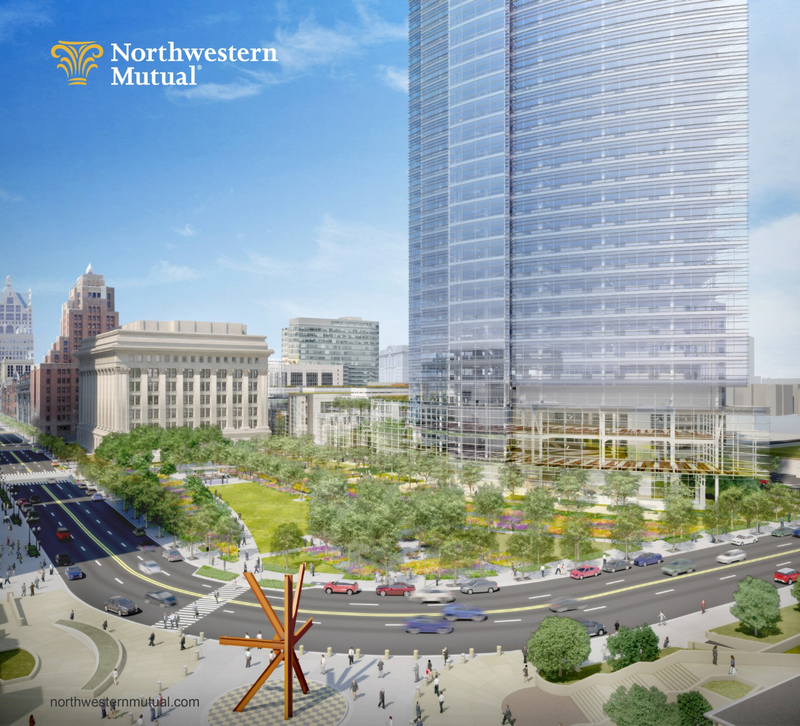 Construction of the Northwestern Mutual Tower and Commons is scheduled to be completed by the end of 2017. The site is currently being prepared for vertical construction that is expected to begin in February when crews undertake a 24-hour concrete pour, the largest continuous pour conducted in the state of Wisconsin. 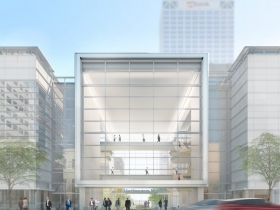 Once completed, the project will preserve 1,100 downtown jobs while adding 1,900 new ones. 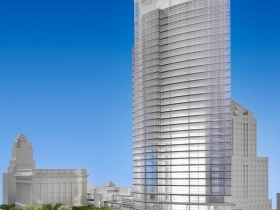 It will also welcome residents and visitors to the city and anchor Milwaukee’s lakefront development.